Nearly three months ago I went out on a limb by putting five projects on my Q3 Finish-A-Long list... and survived to tell about it! 1. 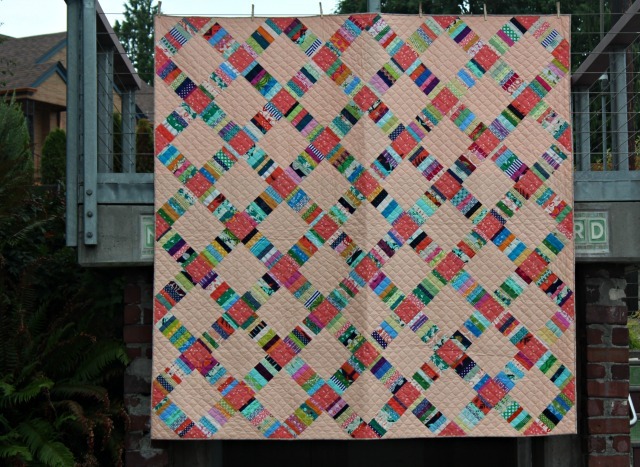 My scrappy improv quarter log cabin quilt top sat for a while, but eventually I pushed through to get it done. I really appreciated how many scraps it used up, and it's a block I always enjoy making. So win-win on this one. Fragmentary :: 72" x 72"
2. 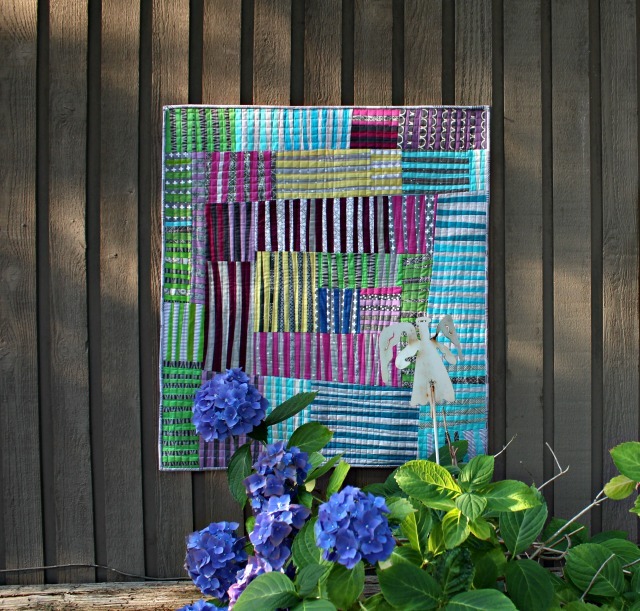 Juneish was made during Amanda Jean/crazy mom quilts' June Quilt QAL, and again, used up alot of scraps! Separated by those backing squares, it made for a really large quilt. I treated myself and asked my guild-mate Pam Cole of Keeping it Simple to quilt it for me and I'm so glad I did! Juneish :: 86" x 86"
3. 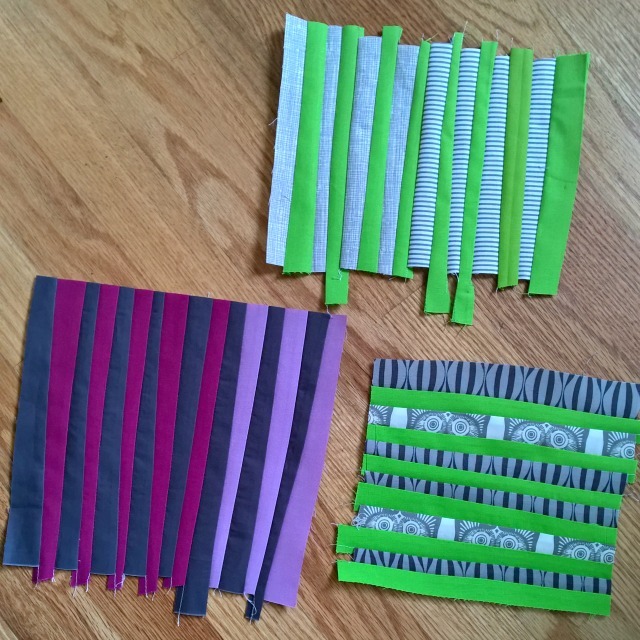 Another scrap-involved project led directly to the improv stripes QAL and it was great fun to have a crowd sewing along with me. Here's the basic block tutorial, in case you missed it. I have no doubt I'll be making more of these. variegated :: 32" x 35"
4. 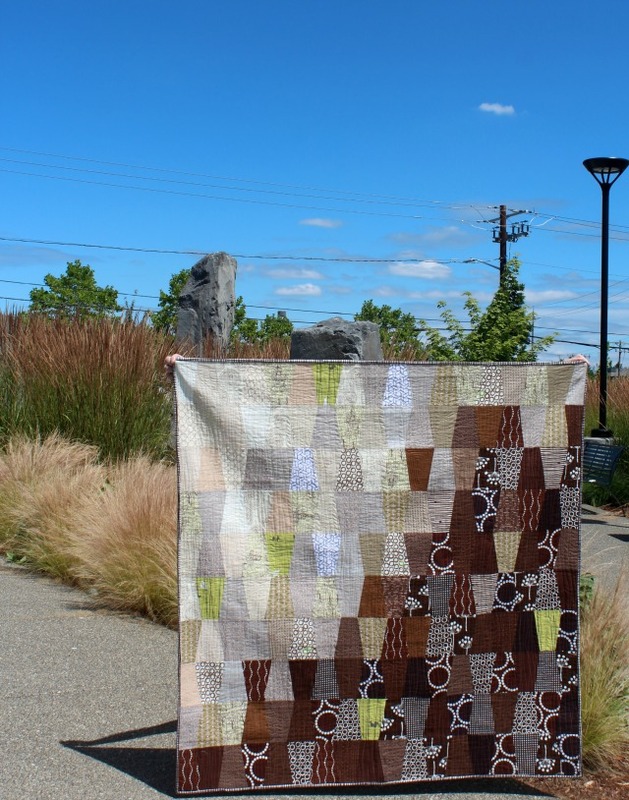 A scrappy tumbler quilt with a mix of all my brown scraps had been on my list for a while. The result, Double Tall Skinny Vanilla, went together really fast, and I enjoyed it so much, I'm working on another version. Love when that happens. 5. 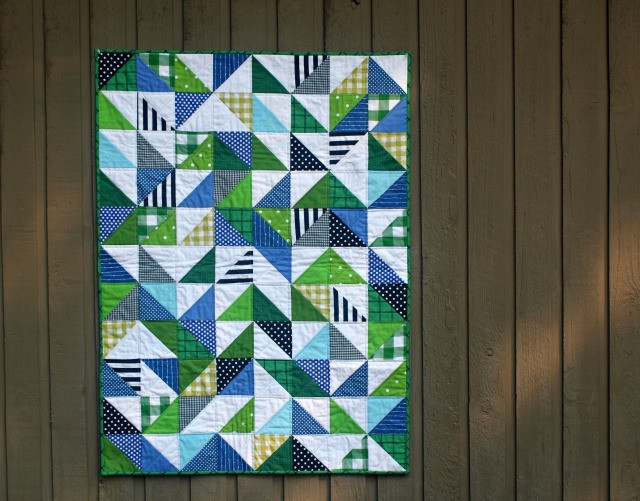 Last on my Q3 list and the most recent finish was a baby quilt made with the Geo pattern by Samantha Green/MissyMackCreations. 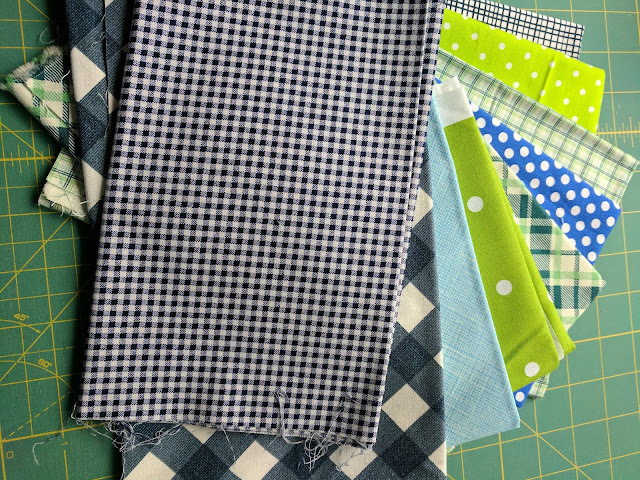 This was the one project that wasn't begun from scraps, but I appreciated being able to mix some stash fabrics with a few new purchases to be able to make the envisioned quilt. Geo Baby :: 32" x 44"
So that was a terrific quarter.... loved using up so many scraps, and focusing on some really enjoyable sewing! Linking up with 2017 Finish-A-Long Q3 Finishes linky. Awesome projects! Beautiful! 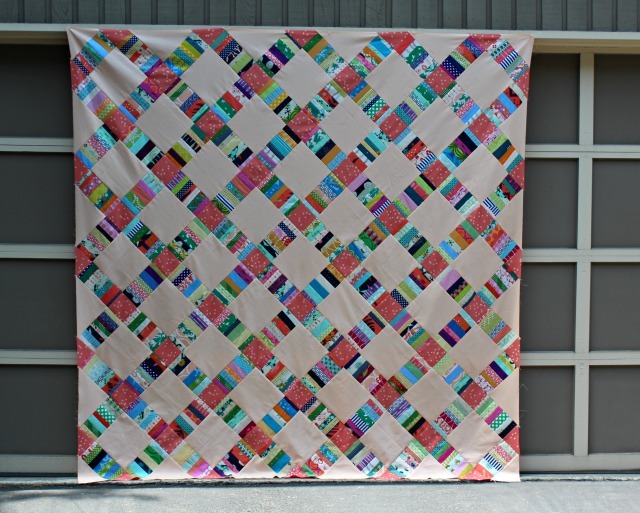 Really neat tumbler quilt! Enjoy your day!! Woohoo! You did good, Girl! I could live with every one of your finishes. 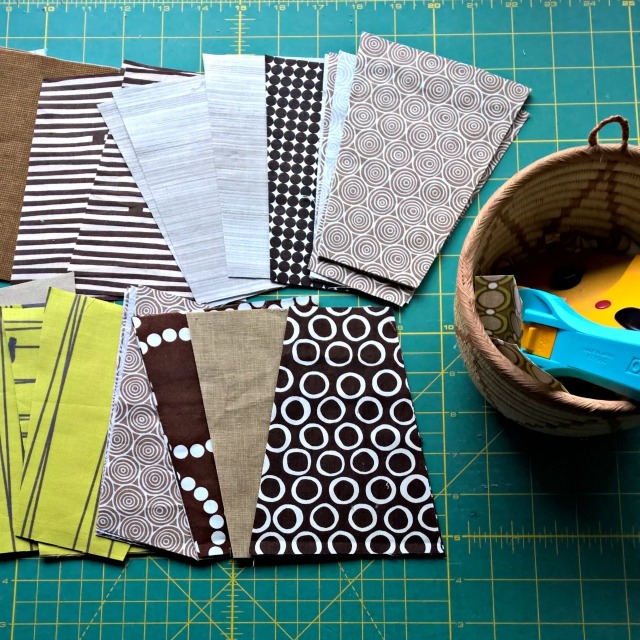 Scraps and stash used--and wonderful quilts made=WIN WIN. Love your finished projects. My scraps are far too plentiful at present! You always make very nice quilts and I admire that you always get them done. Wow! 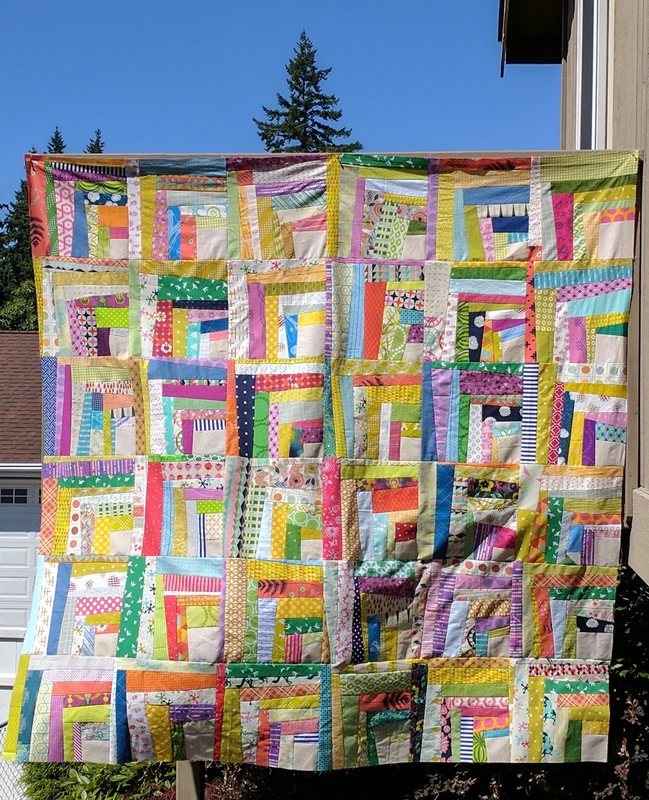 Five quilts finished during this quarter! And using mostly scraps in addition to that. I'm speechless ... Congratulations Debbie! 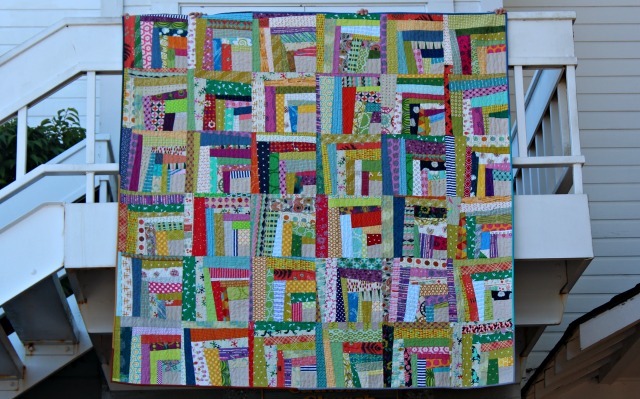 Terrific sounds right - five finished (not small) quilts is really amazing. Great work! Thanks for the inspiration. Those were some AMAZING finishes!! Enjoy.